Let the sacred sound of Om guide you through your day as you take notes and write about everything that inspires you. 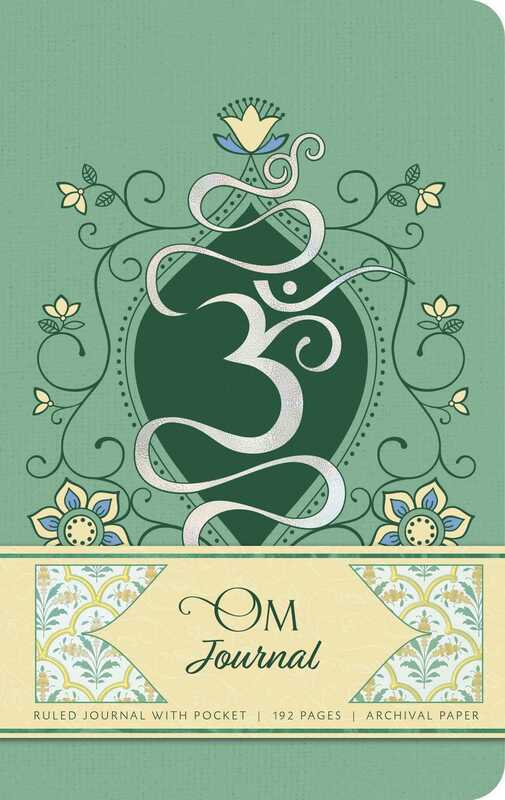 Carry the enlightened spirit of Om with you everywhere you go with this journal. From mornings at the yoga studio to evenings in the sanctuary of your home, this beautifully crafted journal will inspire and accompany you as you learn, grow, and create every day. With sturdy construction and sewn binding, the journal lies flat and features an elegant vegan leather cover. The 192 lined, acid-free pages of high-quality, FSC®-certified paper take both pen and pencil nicely to invite a flow of inspiration. The journal also features a ribbon placeholder, elastic closure, and 7.5 x 4.5–inch back pocket, ideal for holding photographs and mementos. The elegant design of this journal makes it the spiritual seeker’s perfect companion.